In a span of just 13 years from 336 BC to 323 BC, Alexander the Great pushed the boundaries of his Macedonian Kingdom out of its Balkan centre as far south as Egypt and as far east as India. Along the way as he conquered region after region, people after people, he founded a series of cities which he humbly named for himself. These cities would generally serve as places to settle the many thousands of veterans soldiers that had followed him across the Middle East and into South Asia. Many of these Alexandrias persist today: some with different names; some retaining versions of their original name. Other Alexandrias are long since passed, and still others have been lost to history. According to the great biographer/philosopher Plutarch, Alexander founded at least 70 cities, although this number probably include pre-existing settlements renamed and/or repopulated by Alexander. The actual number of cities directly founded by Alexander regardless is known to be at least twenty, and most of those took his name. Below, a summary of the various Alexandrias (and other such derivative toponyms) in chronological order. Alexandroupolis: Founded in 340 BC while Alexander was still a crown prince under his father Philip II, little else is known about this presumably short-lived settlement other than its location was likely near the modern Bulgarian city of Sandanski in the extreme southwest of the country. Alexandria Troas: Originally founded in 334 BC, this city on the east Aegean coast did not receive the Alexandria name until 301 BC after being renamed by Alexander’s successor in the region, Lysimachus. The suffix ‘Troas’ refers to the Troad, the historical name of the Biga Peninsula in Turkey at the southwest end of the Sea of Marmara not far from Troy. A prominent city in its time perhaps as large as 100 000 residents, Alexandria Troas was refounded as a major Roman administration centre in 12 BC and was even a possible candidate for becoming the new capital of the Roman Empire under Constantine (he, of course, would choose Byzantium). The city remains a titular see of the Catholic Church but fell into decline in the medieval era. Much of the city’s ruins were plundered for building material. Among the ruins still visible there today are an old bath/gymnasium complex and an ancient stadium discovered in the 1970s but not unearthed until 2009. Alexandria by the Latmus: This is likely the ancient fortress city of Alinda in the modern-day Aydın Province of Turkey which dated back many hundreds of years before Alexander. Apparently refounded as a military settlement in 333 BC, the city was returned to its previous name sometime before 81 BC. Coins were still being minted here into the 3rd century AD. It, too, remains a titular Catholic see, although no bishop has held the title since 1976. 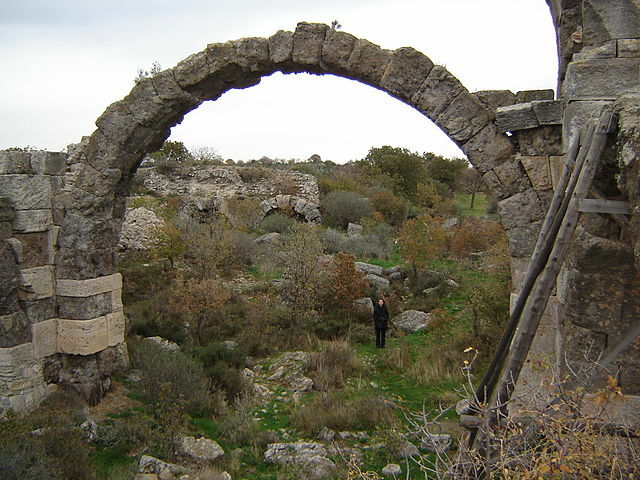 The agora of Alinda still remains visible on the outskirts of the town of Karpuzlu. Alexandria ad Issum/Alexandretta: Now known by its Turkish endonym İskenderun (although the modern city may just preserve the name of the ancient city rather than being a direct continuation), the city was founded on the Mediterranean coast in 333 BC at the north entrance to Syria. Alexandretta prospered until the 3rd century AD, when it was surpassed by neighbouring Antioch (Antakya). Alexandria, Egypt: Easily the most famous of all Alexandrias and one that remains a major metropolis today of well over 4 million people, Alexandria, Egypt was founded in 331 BC by Alexander to be the new centre of Hellenism in Egypt. The new city was built on the site of the pre-existing city of Rhacotis; within a century, it was the largest city in the world. Despite the various rulers that have come and gone in the ensuring millennia (the Ptolemies, the Romans, the Sassanids, the Ottomans, the British, and the current republic of Egypt), Alexandria has maintained its prominence as the second city of Egypt behind Cairo. 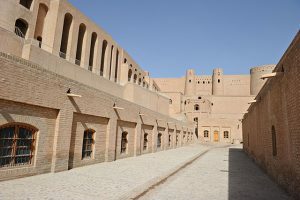 Alexandria Ariana: The first of many Alexandrias in the far east of the Macedonian Empire, this Alexandria is better known today as Herat, the main city of western Afghanistan. Prior to Alexander’s conquering of the region in 330 BC, this city was very likely Artacoana, the capital of Aria. Conquered by the Parthians in 167 AD, the name Heratwas derived over time from Aria. 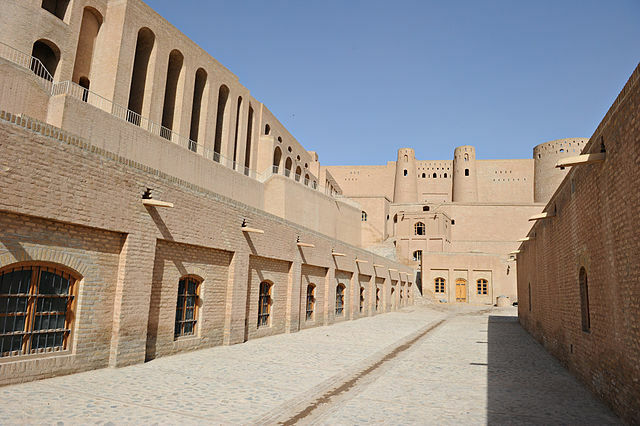 The Citadel of Alexander, Herat. Alexandria Prophthasia: Modern-day Farah, Afghanistan. Prophthasia was the capital of the Drangiana satrap of the Achaemenid Empire. The ‘Alexandria’ prefix was added to the city’s name when Alexander came through in October of 330 BC. The name Phra for the city was first recorded in the 1st century AD. Alexandria Arachosia: This is Kandahar, the second-largest city in Afghanistan. Prior to Alexander’s arrival at the end of 330BC, this was likely the Achaemenid city of Kapisakaniš. Arachosiawas another satrap roughly equivalent to today’s Kandahar and Helmand provinces. The name ‘Kandahar’ itself derives from ‘Alexandria’ (Iskandariya). Despite its location near the edge of the empire, the city remained culturally Greek for some time after Alexander’s death. Today, Kandahar is known primarily as one of the major battlegrounds of the War in Afghanistan. Alexandria Caucasiana: Not to be confused with the Caucasus region on the Europe/Asia border, Caucasus Indicus was an ancient exonym for the Hindu Kush. This Alexandria was a 329 BC refounding of the Achaemenid city of Kapisa to serve as Alexander’s base in the Hindu Kush (the location is 65 km or 40 mi north of modern Kabul). The city would eventually be traded to the Indian king Chandragupta Maurya in 303 BC by Alexander’s successors in exchange for 500 elephants. Alexandria Eschate: ‘Eschate’ translates to ‘farthest’, signifying this city’s position on the Jaxartes (Syr Darya) river that marked the northern edge of Alexander’s empire (reached in 329 BC) where his troops would do battle against the Scythian tribes to the north and the Sogdian peoples that surrounded them. 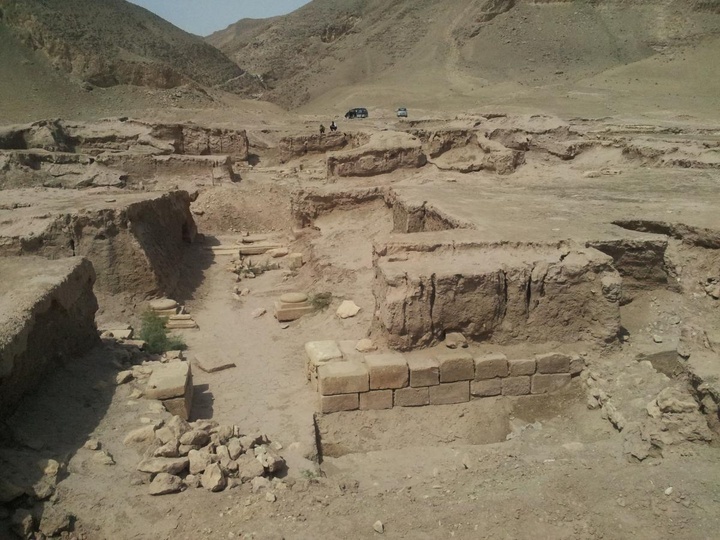 Formerly the site of Cyropolis, the northeasternmost city of the Persian Empire of Cyrus the Great, Alexandria Eschate lay at the western end of the Fergana Valley, making it a major location on the Silk Road trading route connecting Europe and Asia. Today, the city is called Khujand, the second-largest city and northernmost major city of Tajikistan. Alexandria Oxiana: Moving to the south across the region of Sogdiana, Alexander refounded a Persian city on the Oxus (Amu Darya) river in 329 BC. For two centuries the city served as an outpost of Greek culture until its sacking by nomadic tribes in 145 BC lead to its abandonment. Today, it is known under the Uzbek name Ai-Khanoum (‘lady moon’ or ‘face in the moon’) on the Afghan side of the Oxus across from Tajikistan. Between 1964 and 1978, Ai-Khanoum was excavated by French archaeologists, uncovering large amounts of Greek and Indian artefacts, as well as the ruins of a 5 000-seat theatre, numerous temples, and colonnaded courts. Sadly, three-plus decades of warfare have devastated the archaeological site, and much of the site had been either looted or destroyed. The ruins of Alexandria on the Oxus. Alexandria Margiana: This city on the Murghab River in the middle of the Karakum Desert is most famous as the major Silk Road port of Merv/Marv and is the site of where the current city of Mary was developed in 1884 as a Russian military post after Russia’s conquering of the Emirate of Bukhara. Later it would become a major centre of Turkmenistan’s cotton and natural gas industries. Human settlement on this site dates back to prehistoric times and is mentioned in ancient Persian texts as Mouru and Margu. Whether or not it was Alexander himself who refounded the city in 328/327 BC or his general Craterus, the city was temporarily renamed for him regardless. A major cultural and religious crossroads, Merv is reputed to have been the largest city in the world in the mid-12th century with a population of 200 000, about twice that of modern-day Mary. The only time the site was not settled occurred in the 19th century after the Bukharans razed Merv in 1794, deported the population, and environmentally wasted the city via dam breakages. Alexandria Bucephalus: Founded in 326 BC on the Hydaspes (Jhelum River) and named for Alexander’s beloved horse Bucephalus. This site was located somewhere in the Punjab, perhaps near the modern Pakistani city of Jhelum. The large dockyards described indicate that it was intended as a centre of commerce. 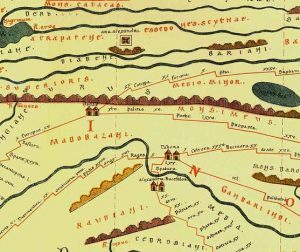 The city was renowned enough to appear eight centuries later as one of the easternmost places listed on the Tabula Peutingeriana. Alexandria Ariana and Alexandria Bucephalus as shown on the Tabula Peutigeriana. Alexandria Nicaea: Located across the river from Alexandria Bucephalus and founded at the same time, evidently serving the same function (this is believed to be the modern town of Mong, which would place the city 34 km/21 mi downstream from Jhelum). 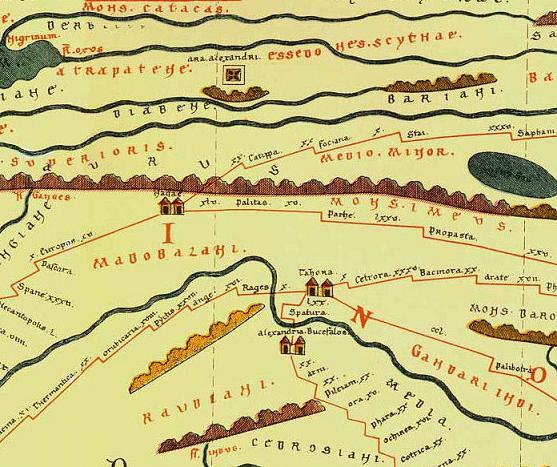 Nicaea translates to ‘victory’, as the Hydaspes River was the scene of Alexander’s last great victory in India over the king of Paurava, Purushottama (Porus), in May 326 BC. Alexander was impressed enough by Porus’ skill and bravery to let Porus rule in his name upon his departure. This was also the battle where Alexander learned to employ elephants in his army after seeing Porus do so. 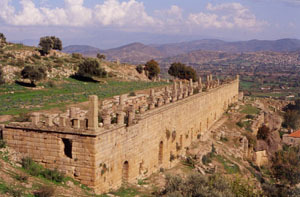 Alexandria on the Hyphasis: The furthest eastern outpost of the Macedonian Empire, this is ultimately where Alexander would begin his long turn back west after his troops mutinied upon his attempt to invade the kingdom of Magadha, having been pushed too far from home for too long to tolerate any further. The Hyphasis is today’s Beas River in India’s Punjab state. Alexandria en Indo Potamo (Alexandria on the Indus): Now heading south along the Indus River, Alexander founded this settlement in 325 BC at the confluence of the Indus and Chenab River with 10 000 veterans and natives. Under its modern name of Uch Sharif, it would become a major centre of Islamic study and architecture. The ruins of Alexander’s city are believed to lie underneath Uch’s citadel, much of which was washed away by a change in the course of the Chenab. Alexandria Rhambacia: Modern-day Bela, Pakistan near the mouth of the Indus, founded in the autumn of 325 BC. Alexandria Carmania: Assuming this was founded by Alexander and not by the later Seleucids, it would have to have been founded at the beginning of 324 BC in Carmania (analogous to Iran’s Kerman Province). Equated possibly with the modern locale of Golashkerd near the border with Kerman in Hormozgān. Alexandria Susiana: One of the last cities founded before Alexander’s 323 BC death upstream in Babylon, Alexander founded this city on an artificial hill above the Tigris River estuary in the spring of 324 BC atop the older Persian settlement of Durine. This city would go on to be better known under the name Charax Spasinu or simply Charax, an Ancient Greek reference to its palisaded fort. Originally a bustling port with its centre located less than 2 km from the mouth of the river, the location is now 150 km (93 mi) from the Persian Gulf thank to the continual deposition of material in the Tigris-Eurphates delta, not far from modern Basra, Iraq. The site of the old city has been identified but no excavations have taken place. Chabriat, G. (2004). La restitution 3D de la ville d’Aï Khanoum. Communication du CNRS 178. Available at http://www2.cnrs.fr/presse/journal/1762.htm. Accessed 1 April 2012. Felando, A. and Sikander (2004). The Legend of Bucephalus. Pothos.org. Available at http://www.pothos.org/content/index.php?page=bucephalus. Accessed 1 April 2012. Jacobs, G. (2010). Remnants of Glory. SDSU News Center, 22 January 2010. Available at http://newscenter.sdsu.edu/sdsu_newscenter/news.aspx?s=71837. Accessed 1 April 2012. Jewett, R. (2005). The Troas Project: Investigating Maritime and Land Routes to Clarify the Role of Alexandria Troas in Commerce and Religion. 2005 CSBS Seminar, London, ON, 29-31 January 2005. Available at http://www.philipharland.com/travel/TravelJewettTroas.pdf. Accessed 1 April 2012. Lendering, J. (2006). Alexander the Great: his towns. Livius. Available at http://www.livius.org/aj-al/alexander/alexander_z2.html. Accessed 1 April 2012. Rosenberg, M.T. (2001). Largest Cities Throughout History. About.com: Geography, 12 January 2001. Available at http://geography.about.com/library/weekly/aa011201a.htm. Accessed 1 April 2012. Worthington, I. (ed.) (2003). Alexander the Great: A Reader. New York: Routledge. Originally published by The Basement Geographer under a Creative Commons Attribution 2.0 Generic license.